Master Sgt. Ryan Rios, 412th Operations Support Squadron, performs an open ranks inspection of Edwards First Term Airman’s Center class 17A. Rios is a former military training instructor. 2016 is gone, 2017 is well underway, and many people are hard at work maintaining those first-of-the-year resolutions. The First Term Airman’s Center at Edwards Air Force Base, Calif., is no different. It is shifting its services to better serve Team Edwards. According to Master Sgt. Andre Brooks, FTAC had become not much more than in-processing for new airmen. “Our goal is to move away from in-processing and more toward professional development,” Brooks said. While FTAC is being transformed across the Air Force, Edwards is the taking the lead on infusing Airmanship into the FTAC program for Air Force Materiel Command. 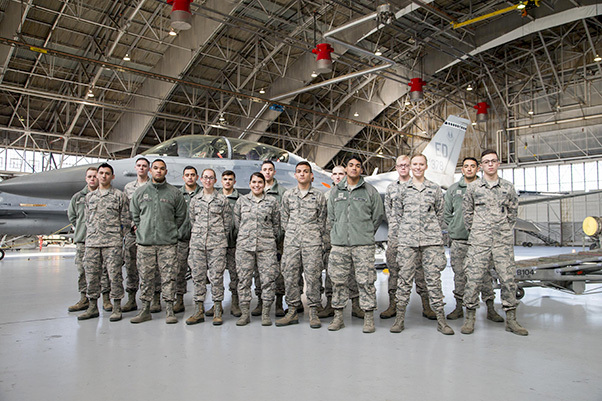 Edwards First Term Airman’s Center class 17A visited the 416th Flight Test Squadron and posed for a photo next to an F-16 Fighting Falcon Jan. 27, 2017. “We gather at the end of the course to reflect on the importance of Airmanship and welcome each Airman to the 412th test Wing. 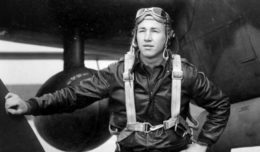 It is required that a member in the Airman’s chain of command is present to welcome them to their organization,” Simmons said. 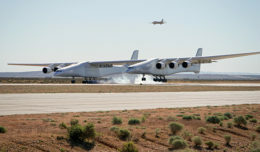 “This program is important to build upon the skills learned in technical training to successfully transition correctly into the operational Air Force,” the chief said. Staff Sgt. Adam Joachim, NCOIC of the First Term Airmen Center, mentioned another new addition to the FTAC services: Airman Professional Enhancement Courses, or APEC. 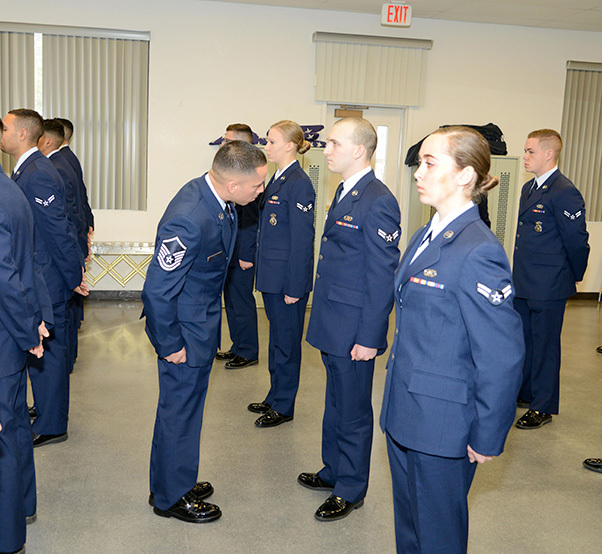 “The purpose of APEC is to fill the gap between FTAC and (Airman Leadership School) by providing professional development for junior enlisted Airmen,” Joachim said. Course topics include the enlisted force structure, airman comprehensive assessments and enlisted performance reports, bullet writing and career progression. 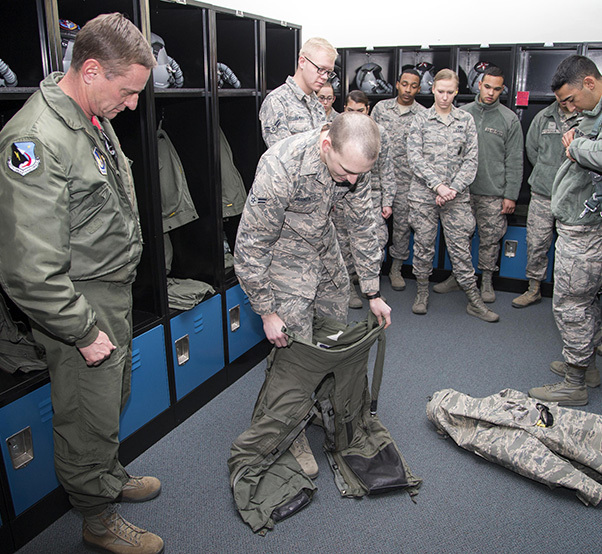 Edwards First Term Airman’s Center class 17A visited the 416th Flight Test Squadron Jan. 27, 2017, and had the opportunity to try on flight gear. The 412th Test Wing has incorporated the mission of ‘Test’ into its First Term Airman’s Center program. Airmen receive a 5-hour immersion into various missions on Edwards. 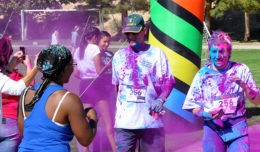 For more information about upcoming FTAC events, see the Edwards AFB FTAC Facebook page or call 661-277-3301.